On the final episode of 2014, the gang talks about the ridiculous, Christmas-set sequel, Look Who's Talking Now! Why exactly is this woman chasing after John Travolta? Why are these dogs and babies born knowing everything? And just how close does Kirstie Alley's character get to a complete nervous breakdown? PLUS: Our Sucker Punchmentary is available now! 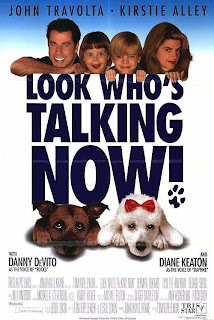 Look Who's Talking Now stars John Travolta, Kirstie Alley, Diane Keaton and Danny DeVito; directed by Tom Ropelewski. Dur Dur D'etra Bebe or something like that. WHM Gang, thank you sooo much for taking Christie Alley and her lack of talent to task! I remember watching Cheers with my parents as a kid and them laughing at Christie Alley and I never understood why!!! This approach observation might stand valid, at the very least ,, in the result of all the developed and additionally transforming america's. One wonders what lengths in all of these circumstances could quite possibly the age-old units like wristwatches continue to make sure you survive relating to? One includes advanced handphones that could quite possibly conduct replica rolex watches an Replica Hublot watches exceptional number about jobs, for example time-keeping, if a tapped most of the fingers more than once replica Chopard watches around individuals. In basic fact, there is very little replique montres Breitling need about even bothering one's fingers at the replica Mont Blanc watches moment, with very much of cordless technology learning its place.